The holiday countdown has begun. Are you ready? This is the time of year when you want to keep your home looking fabulous for holiday parties and those out of town guests. So join us for a night of Holiday entertaining prep. We&apos;ll be talking about a product from Kleenex brand that promises to make your bathrooms more inviting this holiday season. In the U.S. alone, people dry their hands on cloth bathroom towels approximately 200 billion times per year. Just because a towel looks clean doesn&apos;? ?t mean it is. In home bathrooms with heavy foot traffic, shared cloth towels are often damp and germy due to overuse. And, during entertaining/holiday time periods, busy bathrooms can be kept under control with seasonal designs that look good and are convenient for both family and guests. 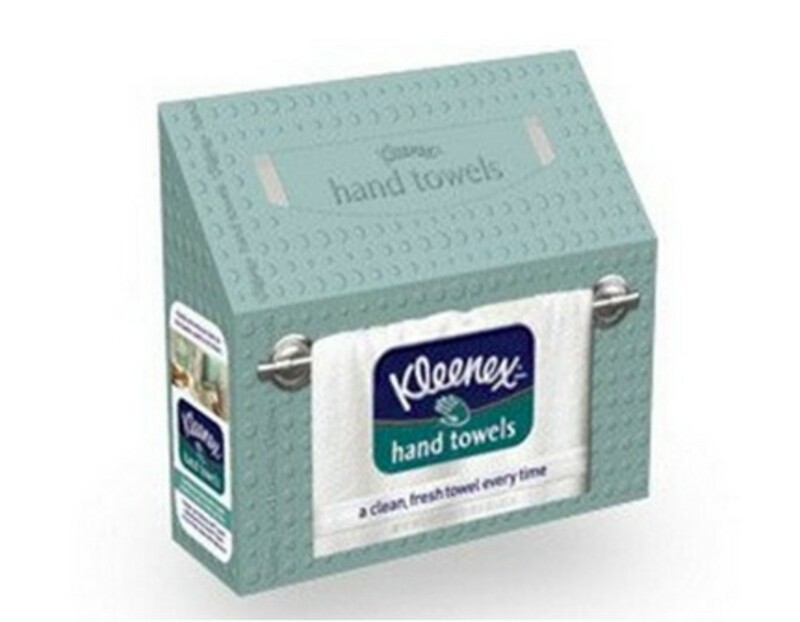 Kleenex Hand Towels are an innovative solution that deliver a clean towel every time consumers wash and dry their hands in the home bathroom. Single-use bathroom towels help reduce the spread of germs as compared to re-usable towels, providing consumers with a hygienic solution. Take control of your towel situation and join the seven million people who have already joined the Clean Hands Campaign by using Kleenex Hand Towels. 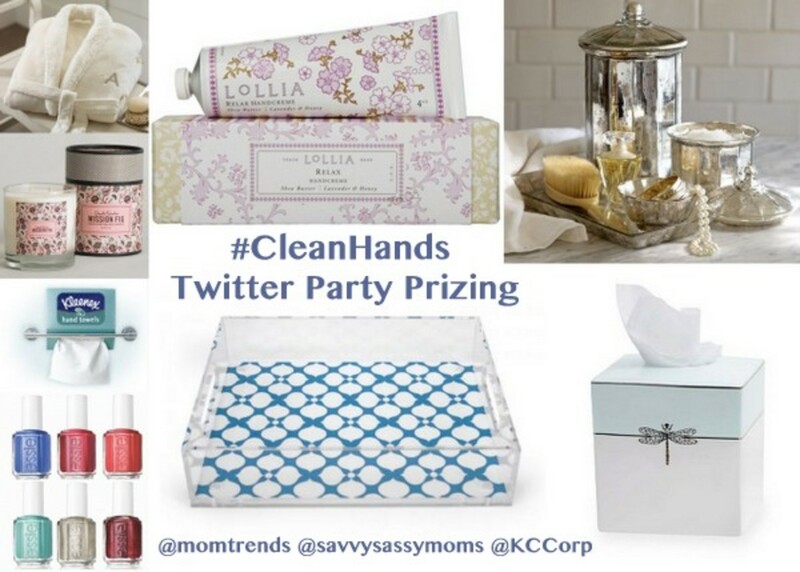 You can also visit Kleenex.com to enter to win a $10,000 bathroom makeover! Kleenex Hand Towels can be found in the paper towel aisle at grocery and mass retailers nationwide at a suggested retail price of $2.99 per box (60-count). Visit Kleenex.com for additional product information. 2. Kate Spade prize package ($112) June Lane Collection tumbler, toothbrush holder, tissue holder and a $50 Visa Gift Card for a manicure on us! 3. Essie prize package ($98) Essie winter collection six bottles and $50 Visa Gift Card for a manicure on us! 4. Jonathan Adler prize package ($120) Small Acrylic Tray and Hollywood lotion pump. 5. L&apos;? ?Occitane prize package ($80 )Happy Hand Trio and a $50 Gift Card for a manicure on us! 6. Pottery Barn prize package ($157) Mercury Glass Canister Tray Set and Sherpa Robe. Rules: Must RSVP to win, must me 18 yrs old to win, must be a US Resident to win. Winner will be sent a direct message after the party to confirm prizing and shipping information. Prizing may take up to 4 weeks for delivery. This is a sponsored party. Consider all tweets sponsored tweets.